In this unprecedented collection, over twenty of the world's most prominent thinkers on the subject including Arthur Danto, Stephen Melville, Wendy Steiner, Alexander Nehamas, and Jay Bernstein ponder the disconnect between these two disciplines. 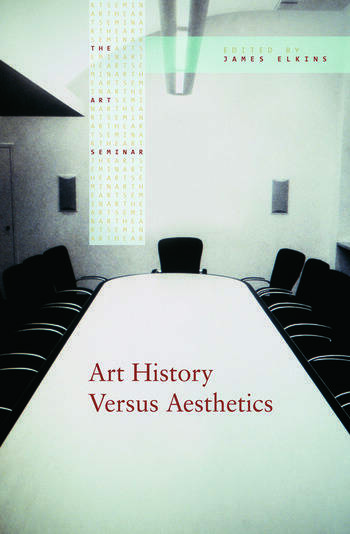 The volume has a radically innovative structure: it begins with introductions, and centres on an animated conversation among ten historians and aestheticians. That conversation was then sent to twenty scholars for commentary and their responses are very diverse: some are informal letters and others full essays with footnotes. Some think they have the answer in hand, and others raise yet more questions. The volume ends with two synoptic essays, one by a prominent aesthetician and the other by a literary critic. This stimulating inaugural volume in the Routledge The Art Seminar series presents not one but many answers to the question; Does philosophy have anything to say to art history? James Elkins is E.C. Chadbourne Chair in the Department of Art History, Theory, and Criticism at the School of the Art Institute of Chicago, and Head of History of Art at the University College Cork, Ireland. He is the author of Pictures and Tears, How to Use Your Eyes, and What Painting Is and, most recently, The Strange Place of Religion in Contemporary Art and Master Narratives and Their Discontents, all published by Routledge.